They may only seem like background noise in a city of hundreds of thousands, but they’re the people Sue and Aileen will be serving this Christmas Eve at the Lyric Theatre. It’s the night before Christmas and Sue (played by Tara Lynne O’Neill) is starting her last shift in the force. Recently split up from a married colleague with whom she was having an affair, her festive cheer is running low. 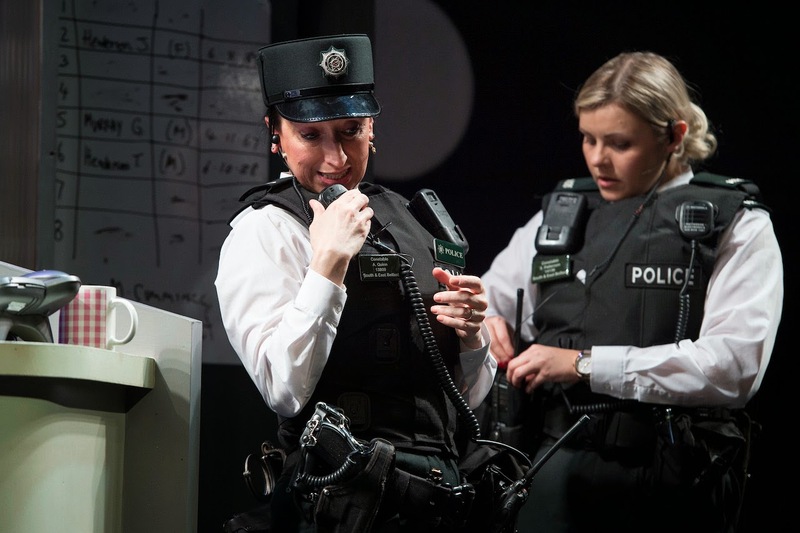 Aileen (Katie Tumelty, fresh from playing Fraulein Schneider in Cabaret) is a mature entrant into the PSNI and this is her first night on the beat. Together the pair patrol South Belfast sorting out the homeless, the abused, the lost, the criminal and ultimately themselves. Mistletoe and Crime has been written by Marie Jones and directed by Dan Gordon. 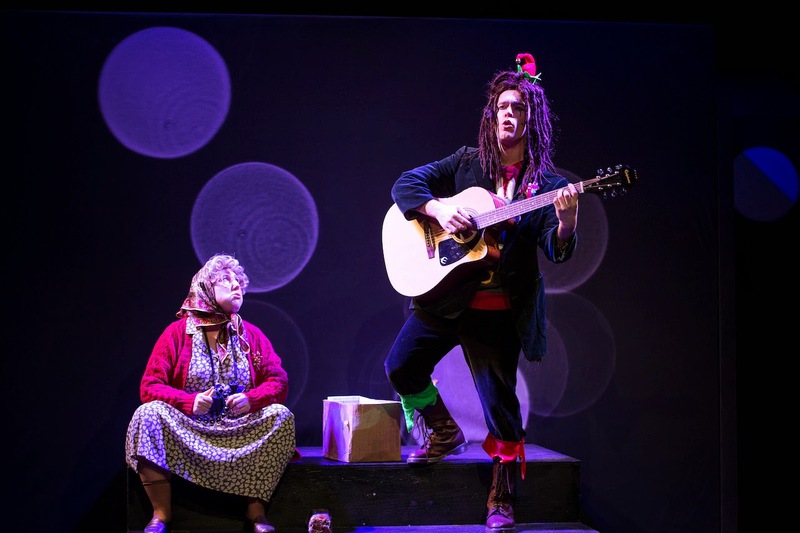 Unlike previous Lyric Christmas shows, this isn’t a sketch show that’s just playing for tinsel-laden laughs. 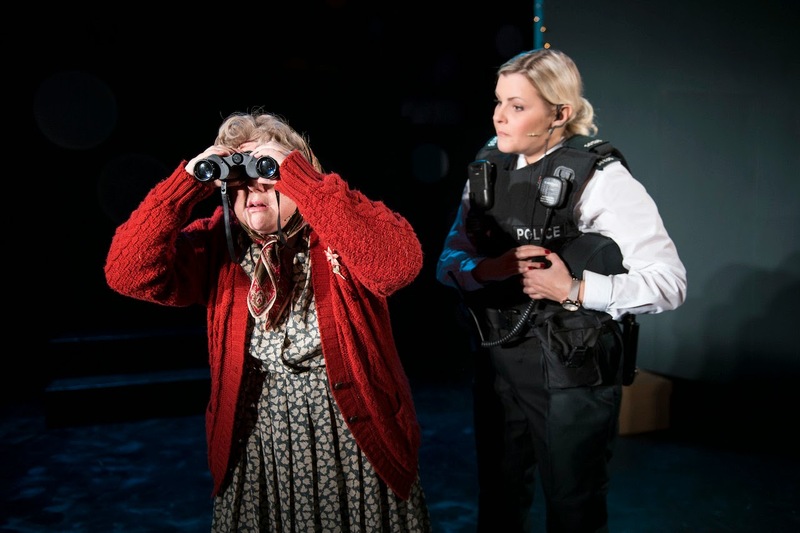 But there was plenty of giggling in the theatre as the packed audience enjoyed the humorous examination of community policing in a familiar city through the eyes of our very own Cagney and Lacey. That’s my Sue: 22 years in this place and you still believe in fairy tales! The first act gently introduces the well-drawn characters. Mistletoe and Crime certainly passes the Bechdel Test with its two strong lead women and countless other female roles. You’re a policewoman, not their mother. The play is at its strongest after the interval when the tempo is upped and each character faces up to their own personal predicament and finds resolution. A single beautiful song – performed by a wannabe Duke Special – captures the mood of the city and its theme carries the drama towards a surprisingly mellow conclusion. Sharing the Lyric main stage with Sleeping Beauty, the set and lighting are relatively simple, but watch out for some great animal shadows, unexpected entrances, the SOS bus and a cameo by the Skiddle Dee Dee one. In a season when the news is ridden with cynical politicians, cheap shots and historic abuse, Mistletoe and Crime offers an earthy and endearing alternative to pantomime that’s full of kindness and warmth. Catch it in the Lyric Theatre before the run ends on 11 January.